It’s getting to the time of year when folks are looking for gifts for themselves, their friends or their bikes. Here are some links to some pump reviews I’ve done in 2009. This is the first of a series of review reviews. 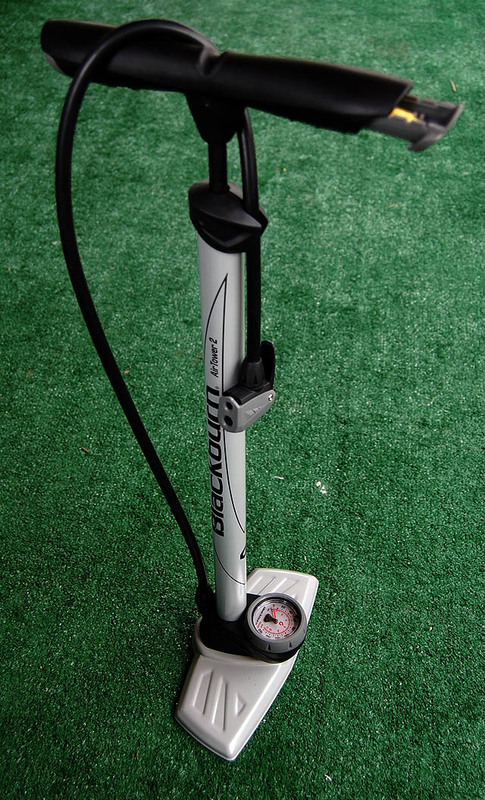 Blackburn floor pump goes BANG!!! I pulled my car off to the side of the road to help a rider who had flatted on a charity ride. He got his tire pumped up to 119 psi, but when he tried for 120 psi, there was a loud BANG!!! It wasn’t the tube. 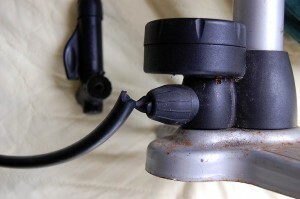 It was the hose that had blown near the base of the pump. Blackburn has a lifetime warranty on their pumps, so I wasn’t worried. Their customer service is a little disappointing, though. After several emails, two calls and 13 minutes on hold being told that my call was very important, Customer Service Courtney said that they were behind in reading their email, that my pump had been discontinued and that they would send me a new Air Tower 2 to replace it. Four days after finally being able to contact Blackburn, a brand-new Blackburn Air Tower 2 arrived on my doorstep. Here’s the full review of the pump. Bottom line: it works like a floor pump should. The head has been redesigned. Instead of the T-shaped top on my old pump, this one has a single head with two holes. One is for Schrader valves; the smaller is for Presta. Some readers have complained that their pumps haven’t worked right with Presta valves, but I haven’t had that experience. The pump has a nifty storage area in the handle that holds inflators for balls, rafts, pool toys, etc. It’s not a reason to buy the pump, but it’s a nice extra. I decided my new Surly Long Haul Trucker deserved a new pump. After doing some research, I ended up with the Topeak Road Morph G Bike Pump with Gauge. It’s a great pump, but the documentation leaves a lot to be desired. 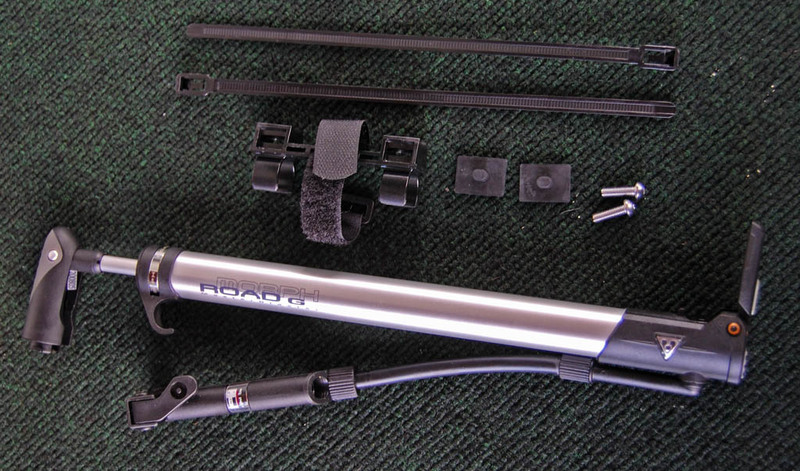 To save you from going through the (embarrassing) gyrations I went through, I created the Topeak Road Morph Pump with Gauge Guide for Dummies. 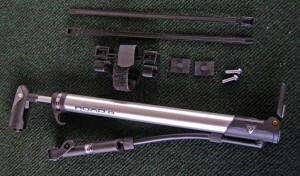 The review also covers how I mount the pump on my LHT and what tire tools I carry.